The Wizard condenses expertise from leading philanthropic, legal, and wealth advisors into valuable insights for you. In just seven questions, the Wizard matches your charitable, financial, and personal goals with the right charitable giving vehicles. Only you will see your answers -- be as honest as you can. Giving outright gifts is the most popular way to give. Gifts are immediate and straightforward, and you have total control over making the gift. If you gift appreciated securities, you avoid capital gains taxes and receive a deduction for the full market value of the gift. Outright gifts are simple, but that doesn’t mean that you can’t be organized and strategic. Yes, giving vehicles tend to encourage a longer-term perspective, but outright gifts can be just as effective if you have a good plan. What issue? What issues do you care passionately about? What problems do you want to solve? What are your strategies / key levers for change? How can you have the greatest impact on the issue? A good place to start is by taking the WiserGiving Style Quiz. It will help you identify the best approaches to solving problems and therefore, how to have the greatest impact on an issue. How much? How much money do you want to give during the year? Create a budget for giving just as you would for other areas of spending. Who? For help in selecting which nonprofits to give to, several organizations evaluate nonprofits and are a good source of information. Great Nonprofits uses ratings from donors, volunteers and recipients of service. Charity Navigator evaluates nonprofits mostly using financial ratios. And GuideStar helps you interpret a nonprofit’s tax returns and includes self-reporting from nonprofits. Spending some time reflecting on these four questions will help you align your giving with your core beliefs. The most important thing is to develop some focus for your giving even if it's a “back of envelope” plan. GiveWell.org does deep research on a select group of top charities in key issue areas. RootCause.org provides guidelines for impacting specific areas through social issue reports. 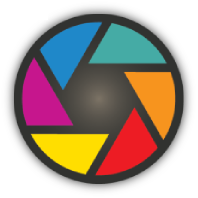 See LAAF.org‘s examples of funding intermediaries. You make a direct donation of cash, appreciated securities or property. Then you get a tax deduction for the value of your gift. You can gift online, by mail, in person, or by wire transfer. Less likely to have a giving strategy or create a lasting legacy. Requires receipts (tax documentation) for your contributions. Maintain your own records for tax purposes. Online givers and givers who want to keep things simple. Giving outright gifts is a smart option for people just starting out who want to support a number of different charities before zeroing in on a few causes or nonprofits. Giving outright gifts is also a wise option for givers who are good record keepers or who aren’t seeking tax deductions (only individuals who itemize can deduct their charitable contributions). Donor Advised Funds (DAF) are the fastest growing and most popular charitable planning vehicle for good reason. They are a simple, low cost way to make a donation now to a charitable account, receive an immediate tax deduction for the full value of the gift, and direct distributions to nonprofits over time. Essentially you are prefunding your future charitable giving in order to get tax advantages now. As a further benefit, these accounts grow tax-free. There were over 200,000 Donor Advised funds in the US in 2012, with over $45 billion in total assets, an increase in assets of almost 20% over the previous year. National Gift Funds: Financial institutions such as Fidelity, Schwab and Vanguard have charitable arms that offer Donor Advised Funds. The benefits of establishing your fund with a commercial provider are convenience and cost. They offer easy-to-use online platforms to manage grant recommendations and link with your brokerage accounts. They have low administrative fees, and give you some, albeit limited, choice of how to invest the funds. However, they provide no grant-recommendation expertise. Community Foundations: There are over 700 community foundations around the country that focus on improving quality of life in a local community. People often select community foundations as their DAF provider when they are focused on issues impacting their geographic region and want to support local nonprofits. Public Foundations understand the complexities of the issue, know which nonprofits are doing the best work, and manage their own focused grant-making program. Donors often choose public foundations as their DAF provider if they are passionate about a specific issue or global initiative, are looking for issue-education and/or advice on which nonprofits to support, and want to pool their monies with other for greater leverage. Other large nonprofits: Other large nonprofits, such as universities and hospitals, offer DAFs but have a requirement that a certain percentage of the DAF gifting be made to that organization. If you know you want to support a specific organization long-term, this is a flexible way to do that while enabling you to give to other organizations as well. You create a charitable fund at the DAF provider, usually with a minimum of $5,000 - $25,000 (the minimum amount varies by organization). You get a charitable deduction upfront at the time that you make the contribution to the fund, not at the time when the gifts are distributed to the nonprofits that you recommend. The fund administrator is responsible for managing the donations to grantees on your behalf. You make recommendations on how much, when and to which nonprofits the funds should be distributed, and the fund administrator executes the transaction, and provides due diligence, recordkeeping, grant letters and tax deduction documentation. The administrator charges a fee to cover the cost of these services that ranges between 15 to 150 basis points (0.15% - 1.50%) depending on the type of organization and the size of the donor advised fund. Technically, donors can only recommend, or ‘advise’, which nonprofits will receive their funding and how much. The fund administrator has the final approval because they are legally and financially accountable for the expenditure and they must ensure that the contributions go to qualified charitable organizations. In practice, however, as long as the organization is a qualified 503c nonprofit and the grant is for charitable purposes, the approval is pro forma. DAFs are sometimes referred to as a ‘light’ version of Private Foundations, since they offer similar benefits, but require significantly less time and money to set up and have far less administrative burden. Permanence: Some providers allow you to name successor advisors such as family members. Some offer endowed or permanent DAFs where only the “income” (usually 5%) is spent and the original fund is untouched. Non-marketable and complex assets: Many large DAF providers accept contributions of C-and S-corp shares and real estate on a case-by-case basis. Advisor role: Technically, the donor can only recommend grants, though recommendatsion to quialified nonprofits and purposes will be approved. An ideal candidate for a Donor Advised Fund is someone who wants to make a charitable gift and get a tax deduction now, but want the monies go to nonprofits over time. DAFs are perfect for those who want simplicity and flexibility. Giving circles are an increasingly popular way to join with other givers, pool your dollars, and decide collectively where to direct your combined resources. At thousands of giving circles around the country, people are learning about issues, evaluating the best approaches, and making grants to have the greatest impact. Donating through a giving circle is a great way to leverage your donations, gain philanthropy knowledge, and meet other engaged people. Participants often feel that their giving is more meaningful, because they have a richer understanding of the issues and have been actively involved in the decision-making process. Like an investment club, a giving circle is a group of people who pool dollars and make grant decisions collectively. You can find giving circles through social venture partners, community foundations, women’s foundations, and other granting organizations. Giving circles require an annual membership or partner gift. The amount varies widely, typically from $500 -$10,000 each year. The main reasons to join a giving circle are to participate, learn, and connect with other caring givers. If you don’t have time to get involved, then a giving circle probably isn’t the right vehicle for you. Giving circles vary in size and structure from informal groups to official 501(c)(3) organizations. Someone who wants greater involvement than just writing a check. He or she desires a hands-on, active, team approach to philanthropy and believes that the collective wisdom of a group and contributing time as well as money will yield greater impact on an issue. Gift Annuities are offered by most large nonprofits, universities and community foundations. You make a gift, receive guaranteed fixed payments for life and get an immediate tax deduction on a portion of your gift, all while supporting an organization that you care about. It’s a simple contractual agreement that can be set up in minutes. You agree to make an irrevocable gift to a nonprofit and the nonprofit agrees to pay you (or another beneficiary) a guaranteed fixed income each year for the rest of your life. Upon your death, the remaining balance goes to the nonprofit. Also a part of the income you receive is tax-free because it is a return of principal. If you give highly appreciated assets, you will have to recognize some of the capital gain, but there is a financial benefit of deferring tax payment over time. Most organizations have minimum age for donor to receive immediate payments, with most being about 60 years old. As a result, some nonprofits offer deferred gift annuities, where the donor specifies a date in the future when the payments begin. Deferred gift annuities represent about 10% of all gift annuities, though that percentage has been steadily increasing. Irrevocable: If you become displeased with the nonprofit in the future (from a change in management or strategic direction, etc), you can’t undo the annuity agreement. Some, albeit low, risk that charity will default on payments. An older person who wants a guaranteed income for life, income tax savings now and has a favorite charity that they’d like to support long term. Another likely candidate is an individual who has a favorite charity and is in their high earning years or who has had a large income/taxable event this year. They would benefit from setting up a Deferred Gift Annuity to get income tax savings now when they can really use it and an additional source of revenue in later years. Charitable remainder trusts (CRT) are a common vehicle that enables you (or someone you designate) to: receive an income stream; get a tax deduction; and, upon death or at the end of a fixed term, give the remainder to charity. There are two kinds of CRTs: the charitable remainder annuity trust (CRAT) in which you receive fixed income payments and the charitable remainder unitrust (CRUT) in which you receive fixed rate of return on the trust’s assets. Therefore, with a CRUT your income payments will increase with gains in investment value and decrease with loses. The trust is a separate legal entity that is set up by an attorney and managed by a trustee that you select, typically a wealth advisor, financial services company, yourself, or the charity designated to receive the remainderment (e.g. university, community foundation or larger nonprofit). If you choose the charitable remainder beneficiary to be the trustee, it will be easier to setup, but you will not be able to change the charitable beneficiary. how much flexibility to build into the CRT including: the ability to change charitable beneficiaries, add to the trust (only with CRUT), change trustees, or terminate the trust early. After an attorney sets up the CRT, you’ll get a tax I.D. for the trust. Then you can establish a financial account for the trust into which the assets are transferred. The trustee has control over how the assets are invested, and is responsible for making the income payments and preparing the annual tax returns for the trust. Setup and ongoing costs: there are upfront legal fees for an attorney to create the CRT, and there are ongoing tax preparation expenses since the trust must file tax returns every year. Minimum levels: Since there are set up costs and ongoing administrative expenses, it is typical to have a minimum of $500,000 to create a CRT. However, if you setup the CRT with a university, nonprofit, or community foundation and that same entity is the charitable beneficiary, then the minimums are typically lower ($100,000 - $250,000). Someone with charitable intent who wants one or more of the following: an income stream, current tax deduction, and deferred capital gains taxes. A Charitable lead trust (CLT) is one of the few charitable vehicles that lets you to transfer wealth to children (or others) in a tax-efficient way while you support your favorite charities. You contribute assets to the CLT; the trust then makes income payments to the charity(s) of your choice for a specific term or life, and at the termination of the trust, any remaining assets are distributed to you, your children, or other named individuals. In some situations, you may claim an income tax deduction for the value of your gift, depending on the type of charitable lead trust that you establish. CLTs gained notoriety when Jackie Onassis set them up for her children, and while they are much talked about, they are one of the least used vehicles with less than 7,000 in existence, in contrast to over 105,000 charitable remainder trusts and over 200,000 donor advised funds. There are several ways to structure CLTs, each with very different tax implications. While this flexibility enables the donor to align personal and financial goals with their philanthropic planning objectives, it also adds complexity and makes it challenging to understand all the options and tradeoffs in order to choose the best structure for your specific situation. The CLT is a separate legal entity that is set up by an estate planning attorney and managed by the designated trustee. Depending on the type of CLT, the trustee can be a wealth advisor, financial institution, yourself, or the charity receiving the income payments (e.g. community foundation, university, or other large nonprofit). Typically, the charities will only agree to be the trustee if you name them as the irrevocable income beneficiary. Grantor or nongrantor trust: This refers to who “owns” the trust from the IRS’ perspective, and therefore who is responsible for the taxes incurred by the trust. See more ? In grantor CLTs, the grantor (i.e. the donor) retains certain powers over the trust administration and keeps control over the assets inside the trust. As such, the donor is treated as the owner from the IRS’ perspective. This allows the donor to receive an income tax deduction, but he/she must also include the income from the trust assets on their personal income tax return each year. In nongrantor CLTs, the grantor (donor) has given up sufficient rights and interest in the trust, and is not treated as the owner. As a result, the donor does not receive a charitable income tax deduction and likewise is not taxed on income generated by the trust. The trust is responsible for the income taxes generated and the trust can claim a charitable deduction each year for the income paid to charity(s). The trust is a separate entity, with its own tax identification number and files its own tax returns. Reversionary or non-reversionary: Specifies who will receive the remaining assets at the end of the trust. See more ? In a reversionary CLT, the remainder interest reverts back to the donor. In a nonreversionary CLT, the remainder goes to a designated beneficiary(s) other than the donor. Qualified or nonqualified: A qualified charitable lead trust is eligible for a gift, estate or income tax charitable deduction. A nonqualified charitable lead trust does not meet IRS requirements for the donor to deduct the interest payment to charities for federal estate, gift, and/or income tax purposes. What the payout will be: Fixed funding amount (charitable lead annuity trust) or a percent of assets (charitable lead unitrust) See more ? With an annuity trust (CLAT), the charity(s) receives a fixed dollar amount each year. With a unitrust (CLUT), the charity(s) receive a fixed percentage of the trust. Therefore with a CLUT, the charitable payments will increase with gains in investment value and decrease with losses. The CLAT is more popular because the annual payment is a fixed amount, and doesn’t need to be re-calculated each year as the trust changes in value. The charity(s) that will receive the periodic payouts. Whether the CLT it is a “zeroed out” trust or not (this determines if there will be any gift tax liability.) See more ? The zero-out characteristic means that the IRS believes that there will be no assets left in the trust at its end, and hence there is no gift tax liability. If the trust is not 'zeroed out,' then a gift tax is assessed for the expected value of the assets remaining in the trust at the time of termination. Each month, the IRS calculates an interest rate that is used to value charitable trusts. This rate, known as The IRS Section 7520 interest rate, is the percentage by which the government expects money will grow over time. For March 2014, this rate was 2.2%. If the assets contributed to the trust are greater than the expected value of all the income payments to the charity, then the excess is considered a taxable gift to the beneficiary. You can structure a CLT so that the gift tax is zero by having the calculated present value of income payments to charity equal the assets contributed to the trust. The IRS considers this “zeroed out,” and no gift or estate tax is assessed. CLTs are most popular when the IRS interest rate is low, since there’s a higher likelihood that the trust assets will outperform the IRS assumed rate of growth, and thereby allowing the donor to transfer wealth to his or her heirs tax-free. For example, in March 2013 the IRS 7520 rate was 1.4%. If you set up a CLT with $1 million and a 20-year term, and agreed to pay out $57,500 each year to charity, the IRS calculates that based on the earnings and charitable payouts that the assets of the trust would be $0 at the end of the trust term. Hence no gift tax is assessed at the creation of the CLT. However, if the trust assets grow in excess of the 1.4% IRS rate, then the remaining assets would be transferred to the beneficiary(s) tax-free. For example, if the trust grew at 6% annually, then the trust would have over a million dollars in it at the end of the 20 years, which would be transferred tax-free to the beneficiary(s). How much flexibility is allowed including the ability to change charities, change trustees, or change beneficiaries. The donor then transfers assets into the trust. The trustee will be responsible for overseeing how the assets are invested, making payments to the designated charities, and filing annual tax returns for the trust as needed. At the completion of the trust, all assets left over are transferred to the named beneficiaries. There are many flavors of CLTs with vastly different tax implications, so it is very important to get counsel from attorneys and tax advisors who are experienced with CLTs. See more ? Qualified reversionary grantor trust: The donor is treated as the owner of the trust for IRS purposes, and therefore when the trust is created the donor receives an income tax deduction equal to the net present value of the income payments to the charity. Likewise, the donor is responsible for the income tax liability generated by the trust. At the termination of the trust, the trust assets revert back to the donor. 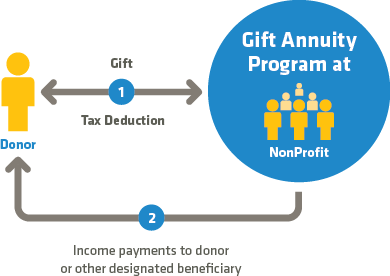 This type of CLT is used most often to allow a donor to make a multi-year gift to a charity(s), and accelerate the charitable deduction upfront. Qualified nonreversionary grantor trust: The grantor is considered the owner of the trust for tax purposes and thereby gets a tax deduction for the gift. The grantor is also responsible for any income tax generated by the trust. The trust is not considered a part of the grantor’s estate and the assets will be transferred to the heirs or beneficiaries at the termination of the trust. 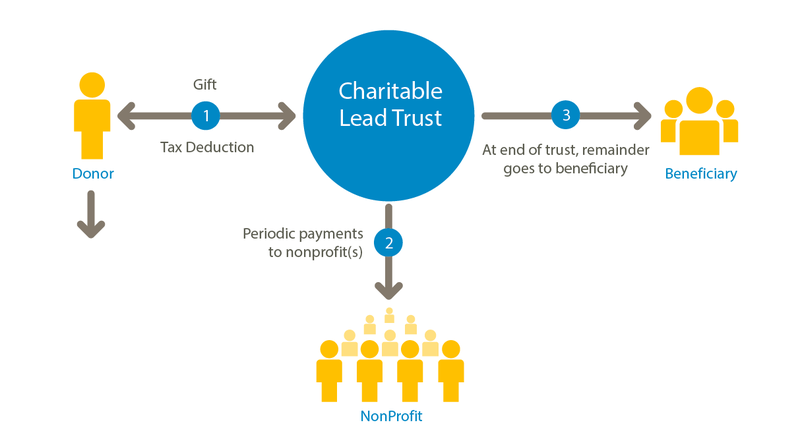 Qualified nonreversionary nongrantor Trust: These are the most common type of CLTs and are often done to provide a multi-year gift to a nonprofit. At the end of the trust, the remainder transfers to the named beneficiaries. As a nongrantor trust, the donor does not receive an income tax deduction; however, neither are they responsible for paying taxes on income generated by the trust. The trust itself gets an income tax deduction for the amount given to charity each year and is also responsible for paying taxes on any income and investment gains. Nonqualified nongrantor reversionary trust: In this situation, a donor funds a CLT. The Trust makes periodic payment to charity(s), and after the end of the term, the remainder reverts back to the donor. The benefit of this CLT structure is that it enables the donor to avoid paying income tax on the income generated from those assets during the term of the trust. If the donor’s intent was to provide the income from those assets to charities, then this enables them to do so without incurring the income tax generated from those assets. The donor is not eligible for income, gift, or estate tax deductions, nor are they responsible for any income taxes generated by the trust. The trust will be able to claim gift tax deductions for income amounts transferred to charity when the payments are made. Pass assets to your heirs with minimum/no gift tax liability. Tax liability: Unlike a CRT, a CLT is not exempt from federal income tax. The best candidates for CLTs are people who plan on giving charitably for many years, want to pass assets onto heirs with reduced or no taxes, and believe that their trust’s assets will outperform the growth rates assumed by the IRS, which was 2.2% in March 2014. See more ? Each month, the IRS calculates an interest rate that they use to value charitable trusts. This rate, known as The IRS Section 7520 interest rate, is the percentage by which the government expects the trust’s assets will grow over time. For March 2014, this rate was 2.2%. If the assets in the trust grow more than the IRS Section 7520 rate, then there will be assets remaining in the trust at the end of the period. This remainderment will be distribution to the named beneficiaries tax-free. Private foundations are the cornerstone of U.S. institutional philanthropy. Private foundations were first established by industrialists such as Rockefeller and Carnegie in the early 1900s. Today there are approximately 120,000 private foundations with a total of $600 billion in assets. The Bill and Melinda Gates Foundation is the biggest at about $38 billion, but 95% of private foundations have under $10 million in assets. Private foundations are usually established with an initial large gift by an individual or family. Historically, private foundations were established to operate in perpetuity drawing on the income from endowed investments to operate. But because of the flexibility that private foundations offer, they have become attractive to younger active entrepreneurial grantmakers. The “giving while living" movement and the Giving Pledge encourage people to actively donate during their lifetimes. From these efforts and others, philanthropists have embraced new approaches to solving problems and then found the right vehicle to serve their purposes. Making grants to non-charities: As long as they exercise appropriate control and supervision per IRS guidelines, private foundations can invest in socially oriented for-profit organizations. These are especially popular for social investors. Making program-related investments (PRI) where a portion of the foundation’s assets are invested or loaned to nonprofits, aligned with the foundation’s charitable goals, for a financial return. Ability to make grants directly to foreign nonprofits: However, they must exercise “expenditure responsibility,” which requires establishing procedures to ensure that the funds are used for the purposes stated in the grant. Tax treatment: While you can avoid capital gains taxes on appreciated securities and receive a tax deduction for your gift, there are lower limits on the allowable amounts for tax deductions. The maximum deduction is only 30% of Adjusted Gross income (AGI) if you donate cash, and 20% for gifts of stock or real estate. This compares to 50% of AGI for cash gifts, and 30% for stock and real estate for gifts to public charities. Furthermore, if real estate is given to the private foundation, the tax deduction is the cost basis, not the fair market value, of the property. When real estate is gifted to a public charity, the tax deduction is the fair market value. In addition to less favorable treatments for tax deductions, private foundation must pay an excise tax of 1- 2% on net investment income. Regulatory and reporting requirements: There are more regulations governing private foundations in order to prevent personal benefit such as self-dealing. It is mandated that private foundations “pay out” 5% of the market value of assets annually for charitable purposes. Private foundations need to file a 990PF tax return annually, document expenditure responsibility for any contributions to foreign organizations, other private foundations, and any non-tax-exempt businesses. These compliance and reporting requirements generate significant ongoing legal, accounting and general administrative expenses, and time burdens. A private foundation is created as a separate nonprofit, tax-exempt entity by an estate planning attorney. It is managed by a board of trustees, often consisting of family members. The donor then transfers assets into the foundation and receives a tax deduction. The trustees are responsible for overseeing how the assets are invested, making grants to charities, and complying with all tax and reporting requirements. Although you can establish a private foundation at any size, many recommend at least $5 million to start, given the significant startup and ongoing maintenance expenses. Someone who wants complete control over their philanthropy wants to create a permanent legacy and is not sensitive about administrative costs and legal compliance issues. While not a true philanthropic vehicle, impact investing is an alternative approach that aligns donors’ values with their money. Impact investing is investing in social enterprises with the purpose of achieving a financial return while making a positive social and environmental impact – often referred to as a “triple bottom line.” The social enterprise can be a for-profit company or a nonprofit organization. The security can be private equity, debt, loan guarantees, or working lines of credit. The stage of investing can span from early/seed stage to later stage investments. Finally, the investment itself can be made directly to the individual enterprise, to an impact investing fund, or through a financial intermediary that offers impact investment vehicles. Although it’s not charitable giving per se, impact investing is a paradigm shift for the field since it combines the financial performance goals of traditional business with social and environmental goals pursued by philanthropy. It is one of the hottest new trends and The Monitor Group estimates that this sector will grow to more than $500 billion by 2019 from $50 billion in assets in 2009. An individual interested in impact investing can either invest with an impact investment fund or invest directly in a social enterprise. There are now many financial firms that have created impact investment funds focused on private equity, debt or a combination of both. For example, Calvert Investments offers more than 40 equity, bond, and alternative investment funds to meet the objectives and risk profiles of a diverse spectrum of investors. See ImpactAccess50 and ImpactBase for lists of specialized impact funds managers. In addition, several mainstream financial institutions like MorganStanley and Goldman Sachs broker managed funds or offer their own impact investment funds as a new asset class to their clients. These funds differ by industry sector, mix of debt and equity, geographic focus, risk profile (e.g. stage of development) and financial performance. These managed funds typically have high minimum investment levels that make them only available to high net worth and institutional investors. For investors who want to invest directly in social enterprises and entrepreneurs, there are networking organizations and incubators/accelerators that aggregate and vet social enterprises and help the best ones pitch their businesses to impact investors – both institutional investors as well as individual investors. They are the Y Combinators for social entrepreneurs and impact investors. Crowdfunder has an entire social enterprise section offering a mix of debt and equity deals. You must be an accredited investor to gain access to all the deals. Mosiac is a certified B Corporation offering an online platform that enables investors to invest in solar power projects. As the solar project produces clean electricity, it generates revenue by selling power to the solar customer. As the project earns revenue, investors are paid back with interest. Microplace is a for-profit brokerage platform where individuals in the U.S. can earn a financial return by providing debt funding to microfinance institutions and intermediaries in developing countries. Minimum investments are as low as $25. Zidisha is a U.S. nonprofit which runs a person-to-person microfinance lending platform. Lenders can select loan applications and propose terms (loan amount, interest rates and repayment schedule) directly to the applicants in developing countries. See myphilanthropedia.org’s and NerdWallet’s recommended lists of microfinance nonprofits. Someone who wants a triple bottom line of financial, social, and environmental performance. Impact investors have similar mindsets to angel investors or venture capitalists, in that they are willing to invest in organizations that are not yet considered commercially attractive and will often take an active role mentoring the company. They believe that investing directly in for-profit social enterprises and entrepreneurs can be more effective in tackling social challenges than traditional charitable giving. a) I'm thinking about how giving fits in with my overall estate planning. b) I want to be more strategic in my philanthropic giving. c) I want to become part of a wider community of people interested in philanthropy. d) I&apos;ve recently had a "wealth" event and want to manage the tax implications. 4. How important are the following philanthropy priorities to you? 5. How important are the following personal goals? 6. How important are the following financial objectives? 7. Some giving vehicles are fairly standard and low cost. Other vehicles can be customized to your specific situation, but are more costly and require more of your time and involvement. Indicate which type of giving vehicle you prefer. A standard vehicle has no customization, is low cost, and requires minimum time involvemnet. A custom vehicle is an individualized plan tailored to you, is often higher cost, and requires more personal time involvement. To save your results, you must have an account. Your privacy is important to us; your email and personal information will NOT be shared with anyone.